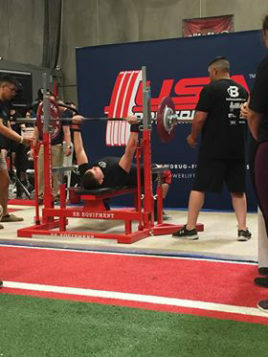 A Maricopa teenager raised the bar during his first power lifting competition last year and is building on his reputation this year. 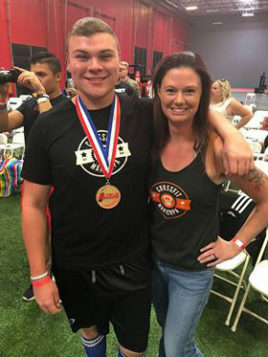 Turner Stanek, 15, broke state records in the back squat (352 pounds), deadlift (435 pounds) and bench press (198 pounds) at the USA Powerlifting Apeman Strong Fest in Phoenix Sept. 23. “This is all new to him and it’s pretty awesome,” said Stanek’s mother, Danica. Last Sunday at the USA Powerlifting Arizona 2018 State Championship, the Mountain Pointe sophomore beat his own records in back squat and deadlift and maintained his previous holding in the bench press category. 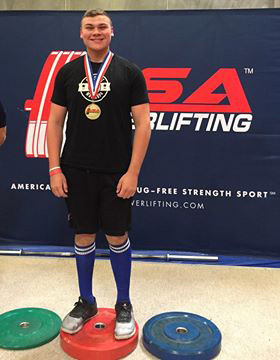 He’s now qualified to participate in the 2018 USA Powerlifting Raw Nationals this October in Spokane, Washington. Turner’s passion for the sport began with encouragement and training from friends and staff at Maricopa CrossFit. 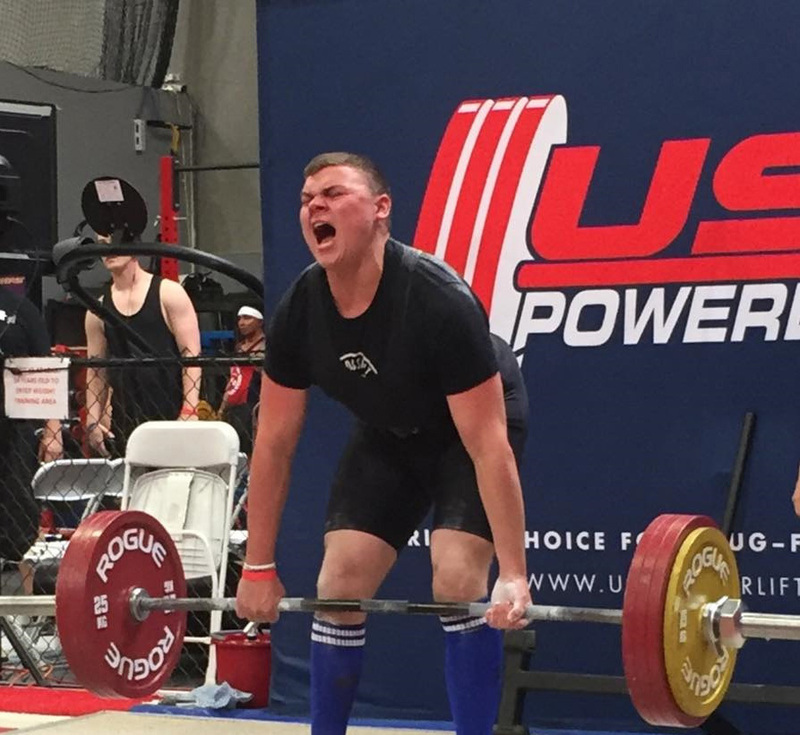 “It’s astonishing because two years ago today I wouldn’t have thought I would hold three records or that I could back squat 402 pounds,” Turner said. The process produced a physical and mental metamorphosis. Turner gained muscle and lost pounds with cross fit and powerlifting competitions. The once introverted teen also increased his confidence and has since broadened his social horizons by joining clubs at school and encouraging others to accomplish their own fitness goals. Work inside the gym taught Turner to deal with his emotions. “I can put all that anger into the bar and take it out on the bar because that’s all the bar wants me to do,” Turner said. He plans to compete in regional competitions this summer ahead of the national event in September. Stanek said he wants to be a well-known powerlifter and help others with their fitness ambitions. 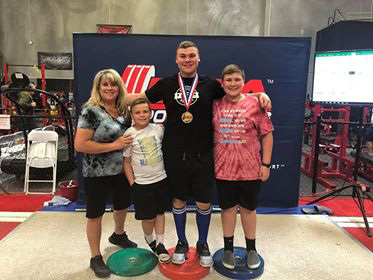 “It’s a great feeling what you can accomplish when you put your mind to it as much as you do for powerlifting,” Turner said.